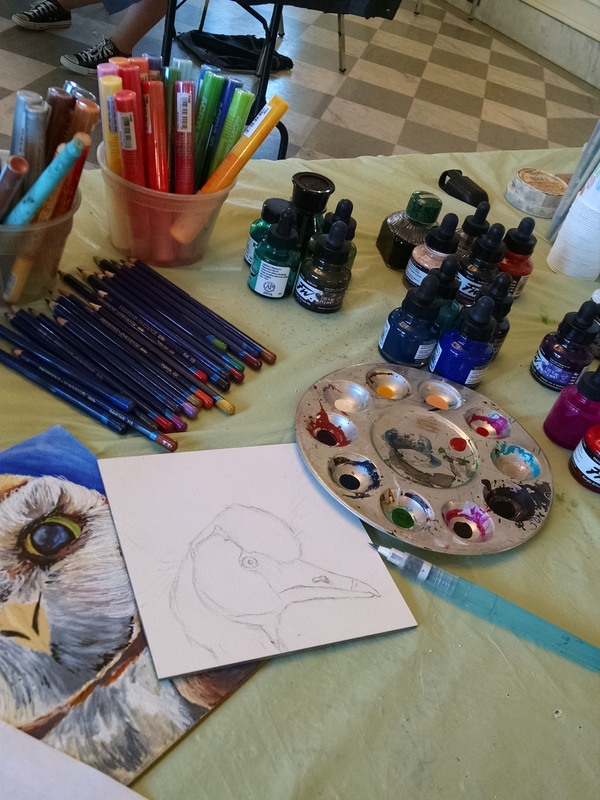 Today I am going to focus my post on ink painting, specifically, ink painting with acrylic inks and ink pens. I have fallen in love with my acrylic inks and ink paint pens. They are amazing and so versatile. The wolf portrait I have been working on now for over a year (due to lack of some time in the studio) is being painted all in ink. I started with Derwents inktense pencils as the base coat and then went on to Daler Rowney F&W acrylic inks. I am also using Molotow and Montana ink markers. Can I tell you that if you have never used or only used once or twice inks and didn’t like them, you are using the wrong inks. All of these brands (and not to sound like a commercial) work like either watercolors (depends on the amount of water added) or liquid acrylics. I started using them on watercolor paper but soon found out the using boards is so much better with the inks. I am going to highlight a step by step from my holiday in Florida for how I use the inks now. So, first things first, I always draw my picture out. I chose the majestic crowned crane. I actually drew this out as a sample for my teen students when I was teaching them how to use inks. I figured I would finish it at some later date. I realized that since my holiday was about relaxing and rejuvenating, I would be able to get some sketching and painting in. The resort I was at had tons of animals and guess what majestic bird. Yep, that’s right….The crowned Crane! So I was able to use the bird in the flesh to continue and finish my painting. Most of the first base coat I did in class for the students. 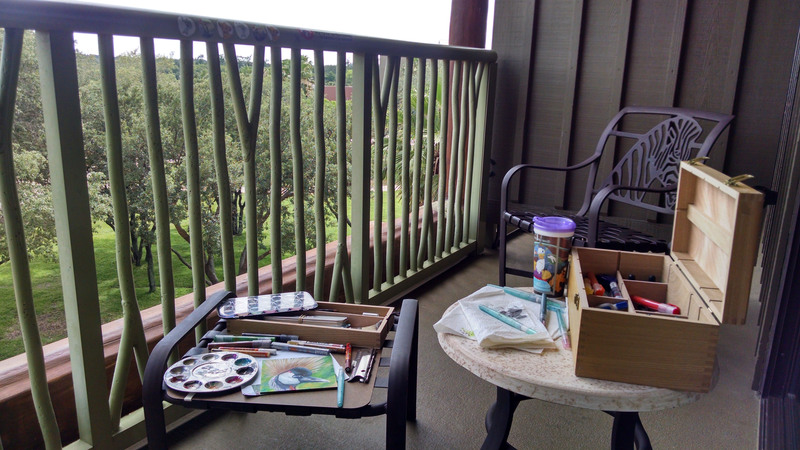 When I got to the resort, however, I went into full-fledged painter mode. 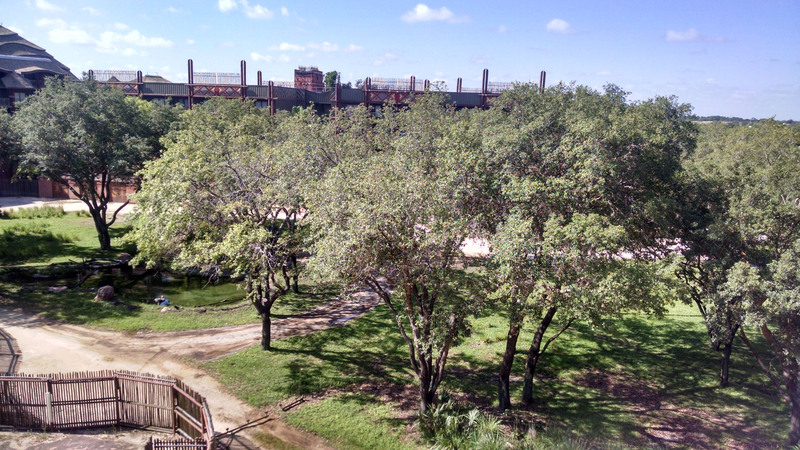 My studio went from being in my home and the museum to the Animal Kingdom Lodge Resort down at Walt Disney World. My balcony became my zen zone with all the animals outside my window. It may have been hot and humid but I stayed outside to finish this little guy using the live bird as my color guide. My travel studio at my resort on holiday. 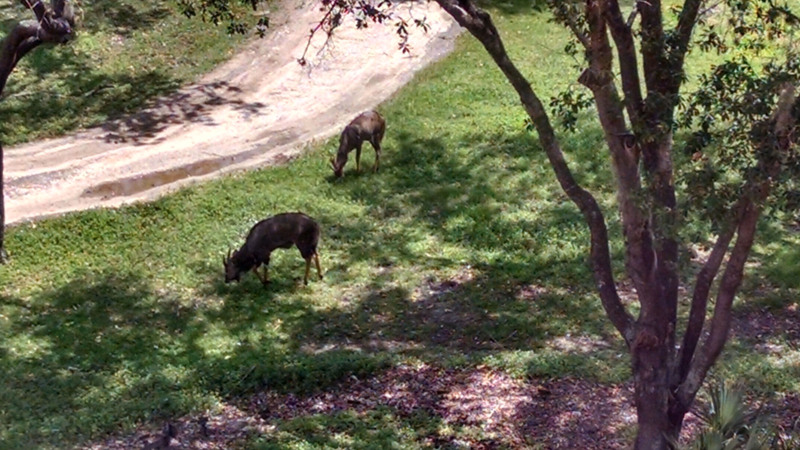 Nyala antelope outside my balcony. First base coat, done before I got there. Second base coat, started and done. Since these are base coats I just watered my brush down and used the ink thin like watercolor. Next, I started to add less water so that more bold color would start to stand out on the painting. Shadows, highlights, anywhere I want overlapping color to come through is next. Usually with watercolor, for shadows I water down slightly but for the inks I went back to watering down like the first base coat. Inks are very opaque so using this method to add the shadows works perfectly. Since I was outside painting, it did not take long to wait for the inks to dry. Surprisingly, inks dry at around the same rate or faster than watercolors. Second part of adding base coat. Starting to add shadows and highlights. After all the base coats, shadow and highlight layers, I started adding detail. Now, the fact that I was painting the colors from the live bird meant that I would have to be patient. The bird is moving around, at a far distance so I would sometimes have to look through my camera lens to see the detail on the bird. I started adding little by little strokes from both my brush and directly from the markers. After overlapping many layers I finally finished. The result is a colorful portrait of the crowned crane in all its majestic and radiant glory. Finished painting. 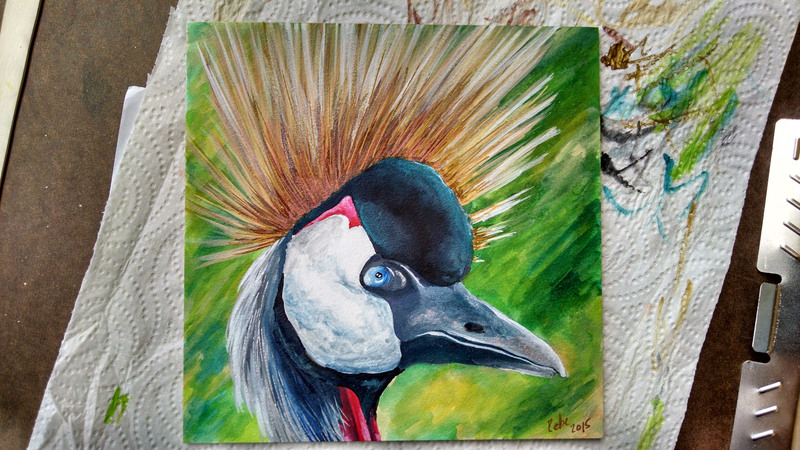 Crowned crane, 6×6″, inks on aquaboard. Resource from my own photos and from life painting. I hope you enjoyed seeing my how I use inks as much as I love painting with them. See you all really soon!